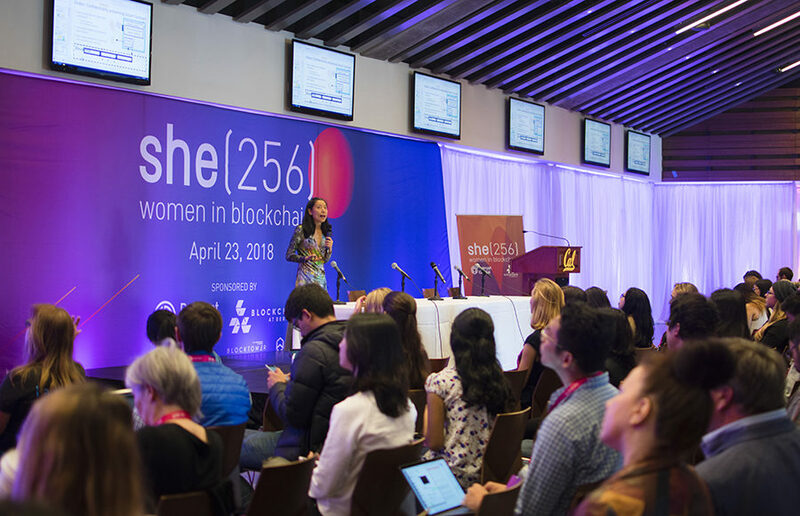 California Memorial Stadium was adorned with purple and orange decorations and swag for “she(256),” an all-day women in blockchain conference held Monday. Blockchain at Berkeley, a campus organization, hosted the event, which was the first women in blockchain conference at UC Berkeley. 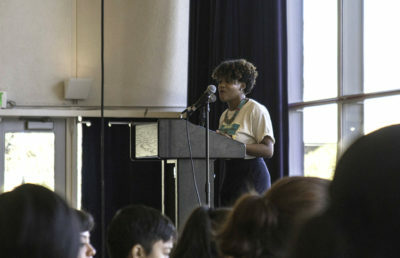 With more than 350 people registered to attend the conference, she(256) showcased seven prominent industry speakers and two speaker panels composed of students, researchers and industry professionals. 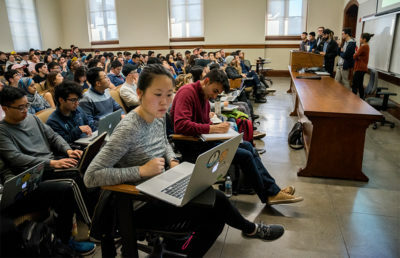 Blockchain at Berkeley is one of the largest and most active university-based blockchain organizations in the world, according to Melissa Mokhtari, project manager and lead editor at Blockchain at Berkeley. As a play on words for a certain hashing function used in blockchain called SHA-256, the she(256) conference aims to empower women by highlighting the research and projects that are led by women in the blockchain space — an industry that is traditionally dominated by men. Speakers at the conference gave talks on the state of the industry and on innovative technologies and specific applications of blockchain. Monica Quaintance, lead of engineering and adoption strategy for Kadena, a blockchain platform, and one of the speakers at the conference, spoke on the future of the technology and making blockchain more practical. Gauba said Blockchain at Berkeley thinks of she(256) not as a single conference, but as a movement in the blockchain field to break down barriers and increase diversity. Gauba added that Blockchain at Berkeley will have more events planned for the coming year, including smaller meetups and one-on-one workshops. Though the speakers and panelists were all women, and in spite of the name of the conference, it also attracted a relatively high number of men. 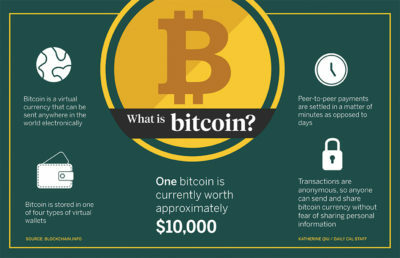 Campus interest in blockchain has grown significantly in recent months after the unprecedented rise in the value of bitcoin and research done by campus professors and organizations such as Blockchain at Berkeley. Because the blockchain industry is still in its infancy, there is an opportunity to involve more women and to set the tone for the future of the industry’s culture, said Sara Reynolds, another executive director of she(256). Another speaker at the event, Mahnush Movahedi, senior research scientist at DFINITY — a company that is using blockchain to build a decentralized cloud — shared her appreciation for the high attendance of women and the opportunity to empower others. Contact Sunny Tsai and Phil Zhang at [email protected].